Here we are again. I presented my self and described my first weeks in KEKS in the last post and now it’s time to give you an update. The summer is ending and I sadly realized that it’s already passed six months since I arrived in Sweden. A lot of stuff happened since the last time I wrote for the blog. A period full of changes, news and different activities. It’s tricky to organize all these memories in my head but some of them have already been told by the other volunteer of KEKS in her post. Referring to the work in office I’m continuing the ordinary activities, especially about the YOUTH WIN-project. But it’s interesting go deeper and discover more aspects of the network and of the single organizations, for example having had the opportunity to meet some members during the job shadowing in Göteborg. My mentor Sara in the last weeks taught me also new useful skills concerning the economy and administrative tasks of the office. At the end of May I’ve completed my cooperation with the film group of Kålltorp Youth Center. The film project started in order to contribute to increase interest in photo/film and to give young immigrants a rich and meaningful free time; the short film contain their own perspective, feelings and experiences about their arrival and life in Sweden. The conclusive event consisted in the presentation and projection of the short film by Claes Andersson (the responsible of the film group), live music and photo exhibition in the cinema ‘Hagabion’. Beside that, in the last period, since in the summer the Youth Centres are closed, I participated ainsome activities for youngs in collaboration with the municipality of Göteborg. 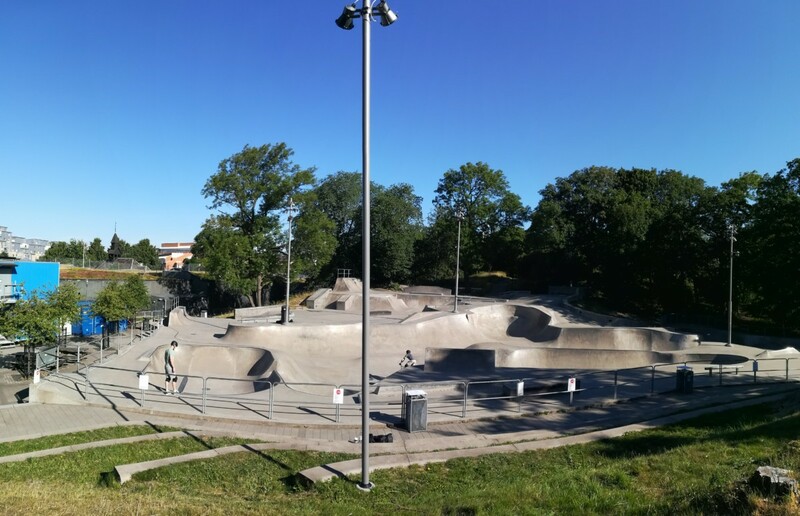 Firstly I went for an entire week at Actionpark, the public area that offers bowls and obstacles for skateboarders, inliners, roller skaters and BMX riders. Actionpark is always open and everybody is welcome and the park is also LGBT certified. In the summer the park host a project run by young leaders (under the supervision of the expert Irene) that provide a free course of skate for kids. I’m grateful to have had the opportunity to help the guys with the children because I’m also very keen in sport and it was an occasion to develop my poor skills in skating. Another stimulating project that I supported was the camp about e-sports and digital gaming. The young leaders of Pink Orange organization coached in e-sports the 30 participants for five days and discussed with them about issues such as health, networking and gender equality related to gaming. In the next weeks the focus of my work in the office will be mostly on the job shadowing project with a slovenian delegation that we will host in the late September and on our annual conference in November as well but probably there will be the occasion to support others activities in close cooperation with young people. Lastly, I’d like to say a word about the city since in the last weeks Göteborg hosted several big events. 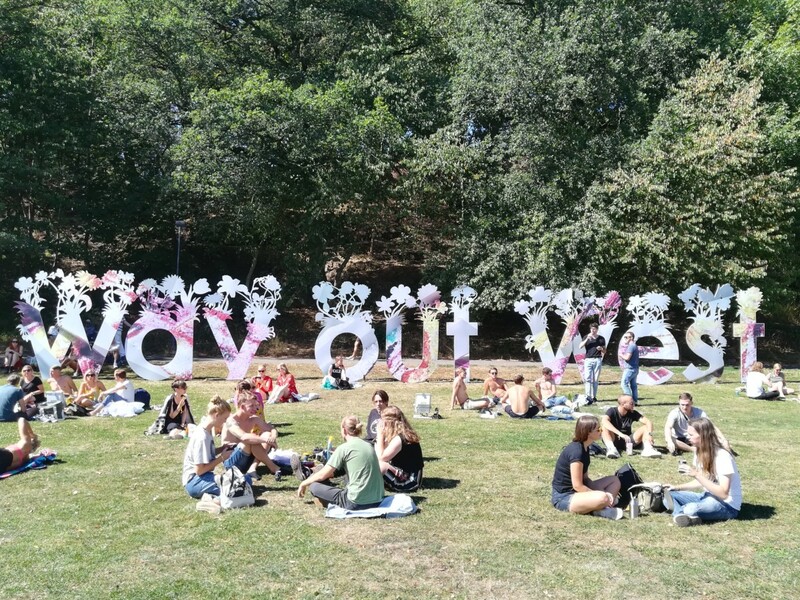 My favourite was no doubt Way Out West, that is a three-day alternative multi-genre music festival held in the beautiful Slottsskogen park. My brother joined me from Italy for the occasion and we spent a great time together at the concerts. 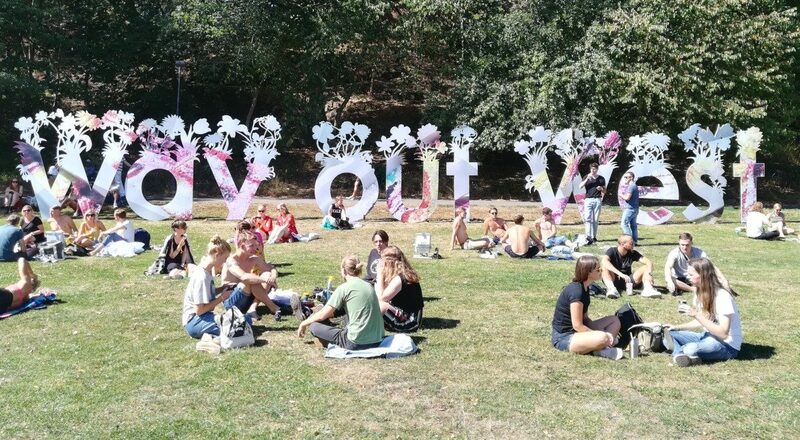 The Culture Festival, from 14 to 19 August, is one of Scandinavia’s largest culture festivals. Streets, squares and museums were full of hundreds of various activities: exhibitions, concerts, seminars and lectures. At the same time in Göteborg the Europride took place and I didn’t miss the chance to see the city covered in Pride colors, confirming its reputation as one of the most LGBTQ-welcoming cities in the world (click here to see the photo gallery).